The art of meditation is very beneficial to you. Here's how to bring that sense of tranquility into your home. With all of the stress that seems to be heaped on us in today’s busy world, it is no wonder that so many people are trying to find some way to escape from it all. Of course, you can’t take a permanent vacation on a sandy beach. You have to deal with stress each day and get on with whatever is happening in your life. Something that can help to make this quite a bit easier is to have a place where you can unwind at the end of the day – or any time of day. Creating your own meditation room for the house is a great idea, and it is easier than many think, even when you are on a budget. The size of the room doesn’t matter much when it comes to meditation. Ideally, you will have a room that gets some natural light (although you can use artificial light if needed), and a place that you actually like in your home. You should also try to find a room that’s quiet. This means you may not want to choose a room that’s right next door to the kids’ playroom. You can repurpose other areas of the house. For example, you could create your meditation room in your garage, basement, or attic if needed. Even if you have other purposes for those rooms, you can create a “quiet corner” that you use for meditation. Some rooms are not a good option for your meditation room though. For example, any room that produces stress – even a small amount – such as your home office, is not a good choice. You may want to consider repainting the room in a pleasing and calming color as well. Of course, you do not need to stay inside when you are meditating. While it is going to be more difficult to find a place that’s quiet outside, you can use the sounds of nature to help you with your meditation. The sound of birds, for example, can be very tranquil. In fact, you might find that bringing some nature to your indoor meditation room can be helpful in providing you with some peace during meditation. Plants, as well as small, indoor water features can help you to remain calm. If you can’t bring the nature inside for some reason, you can do the next best thing. Get some sounds of nature tracks that you can add to your phone or mp3 player. Music specifically for meditation can help as well. If you are trying to meditate in a room that’s full of clutter, do you know what’s going to happen? Every time you close your eyes to try to meditate, your mind is going to start to wander to the mess, and it will be impossible to relax. The cleaner the room the better. Once you have your meditation room set up, no matter where you create it, there are a few more tips that can help you make the space truly beneficial. You will want to remove distracting technology, for example. If you are using your phone to play the nature sounds or meditation music, that’s fine. Just make sure you aren’t checking your email and social media while in the room. Turn off the ringer and vibration so you are not disturbed when you are trying to meditate. In addition, consider aromatherapy. It can be very therapeutic and it is an easy and cost effective addition to make. 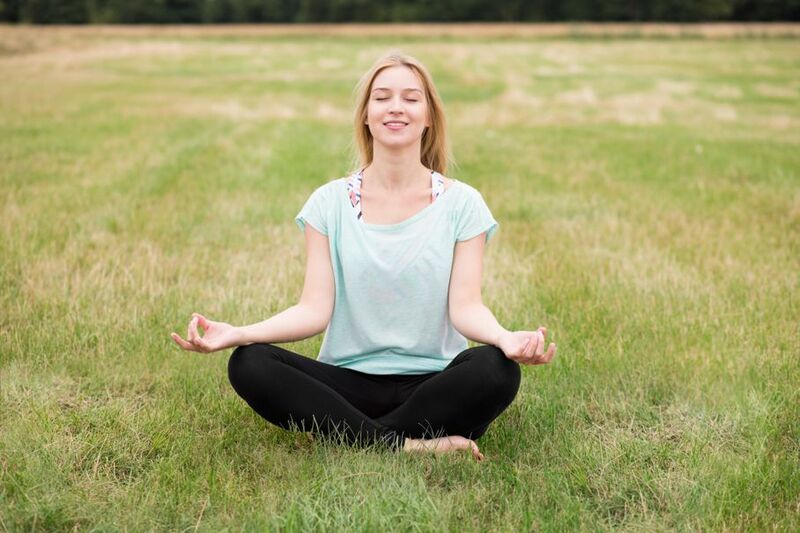 Meditation can work very well to help you reduce your stress. Start on your meditation room sooner rather than later.